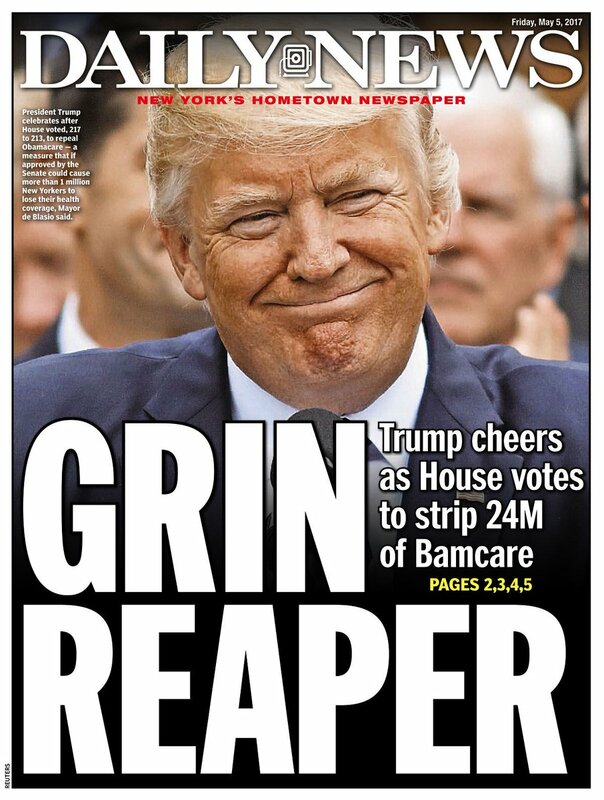 Trumpcare 1.0 would have caused 24 million people to lose their insurance, and Trumpcare 2.0 would be worse if it were signed into law as it now stands. Fortunately, the bill still has to go to the Senate, where it will certainly be modified, and possibly defeated entirely. Regardless of the final status of the bill, the Republican Party just signed its death warrant, and the elections currently happening in Georgia and Montana will be indicative of what will happen to the party in the 2018 midterm elections. Trump is unlikely to last until 2018 - but I'd still like to punch him in face.